Water filtration is no longer an option. Waste water contaminates, drug residues, and agrochemical runoff pollute well water while municipal water contain fluoride, chlorine, and disinfection byproducts. These are the filter systems that Brandon uses in both his home and at clinic as they filter a wide variety of pollutants including chemicals, radioisotopes, heavy metals, and particulates. 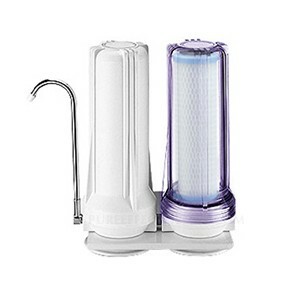 PureEffect Filters is a family-owned and operated water filtration business specializing in advanced, yet reasonably-priced, high-quality drinking and whole-house water filtration. A unique aspect of PureEffect Filtration System is the scientifically phase-balanced cartridge combinations, that is, the proper sequence in which contaminated water touches specific filter media for specific amounts of time before it exits the system. This is very important; one minor variance in the cartridge quality and placement can make the final result taste less than perfect. All of the media cartridges are sourced and made in the United States. To find out what is in your local water supply, search by zip code on site of the Environmental Working Group’s tap water database.